German Spies at the Mayflower Hotel? It Happened in 1942. The stately Mayflower Hotel at 1127 Connecticut Avenue has played host to a large variety of prominent international figures, European Royalty, US Presidents, and Hollywood stars. In 1942, it also housed a German spy named George John Dasch, left, who checked into room 351 on June 18, 1942 with the intention of a meeting with FBI Director J. Edgar Hoover to reveal his spy mission, coined Operation Pastorius. Dasch never met with Hoover, who unbeknown to him, lunched every day in the Hotel’s dining room. Instead, Dash went to the FBI headquarters and was directed to meet with an FBI agent named Duane L. Traynor. 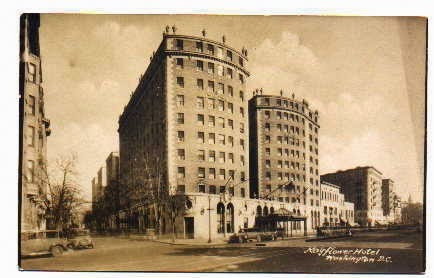 Construction of the $5 million dollar Mayflower Hotel at 1127 Connecticut Avenue began in April of 1923 by developer Allen E. Walker. He hired the New York architectural firm of Warren & Wetmore to design the hotel, which featured 400 individual rooms. 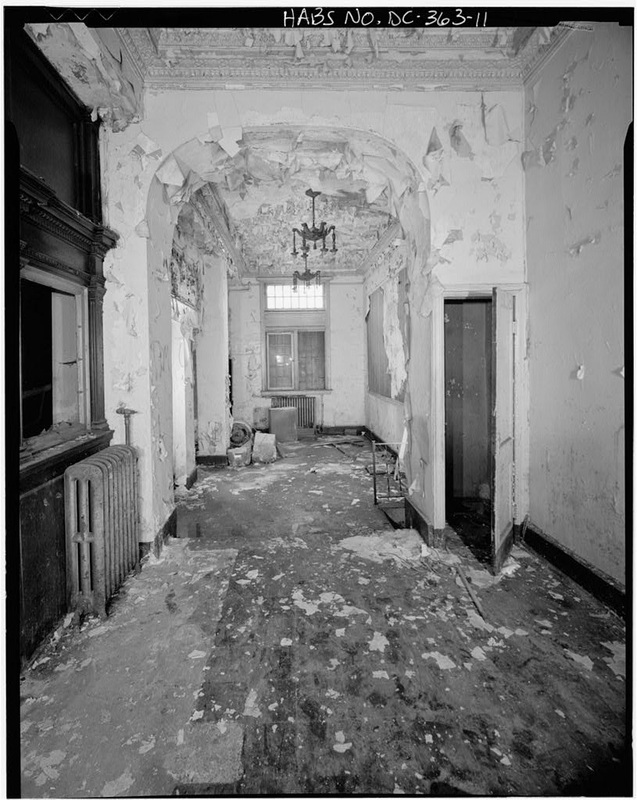 In addition, the hotel offered 100 large apartments for rent, as was typical of hotels during the era, and whose occupants entered through a separate entrance on DeSales Street. The apartment section took up the entire eastern half of the building, facing 17th Street. Since its opening, the Mayflower had held inaugural balls for every President since Calvin Coolidge in 1925. 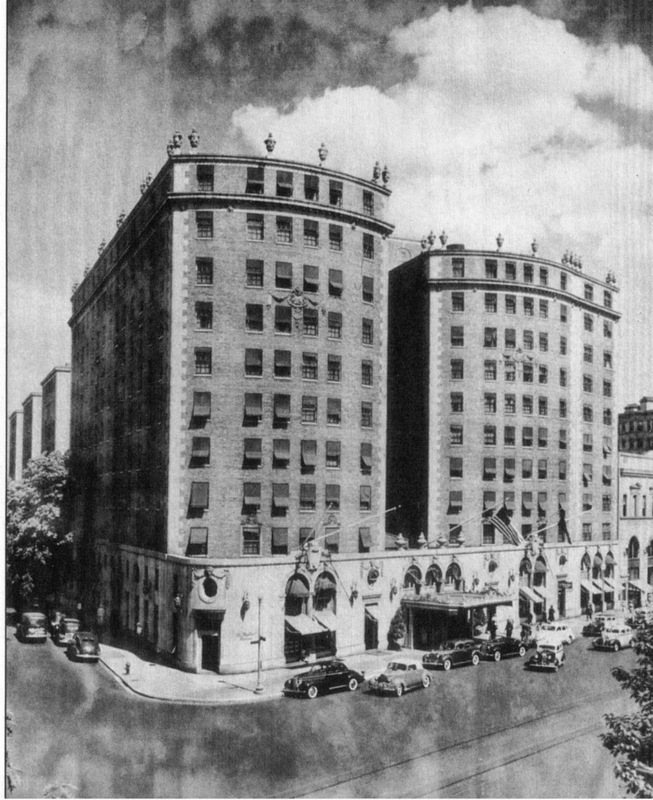 In the 1950s, the hotel converted most of the apartments into individual guest rooms; however, two apartments remain to this day in the hotel. Dasch’s true story, revealed in detail over the next several days while under constant surveillance at the Hotel, would eventually shock citizens all across the country. Dasch, a German-American citizen, had returned to Germany at the beginning of WWII, as did many people with allegiance to their Fatherland. He and seven others were then chosen by the Führer to participate in a sabotage training school led by Walter Kapp, former propaganda chief of the German-American Bund, an American division of the German Nazi party. The training took place beginning in the fall of 1941 at a former farmhouse at Quenz Lake, west of Potsdam, Germany. The intensive training consisted of laboratory studies in explosives, and creating a variety of simple delay detonating switches using household goods such as Chile saltpeter and sawdust, or dried peas and cork. Dasch was eventually selected as a leader of a group of three other men, while a similar group was headed by a German-American named Edward Kerling. After additional physical training and taking on aliases and tutoring in American slang, the eight men learned that they were to be sent to America to carry out their sabotage mission on factories, railroads, and bridges. Their top secret mission was coined Operation Pastorius, named after Franz Daniel Pastorius, a leader of the first group of Germans to arrive in America in 1683. The two groups of four men would each be carried across the Atlantic Ocean beginning on May 28, 1942 in German U-boats, the notorious submarines that had hampered transatlantic travel for steamships for many years. The trip would take seventeen days in cramp quarters and rough seas. Dasch’s group, on the U-202, would land ashore near the Hampton’s on Long Island, while the other, aboard U-584, landed successfully at Ponte Vedra Beach, near Jacksonville, Florida. Dasch’s group used a rubber boat to get ashore from the U-boat, and quickly buried an array of explosives and sabotage materials, but were met by a Coast Guard patrolman who questioned them before allowing them to flee. 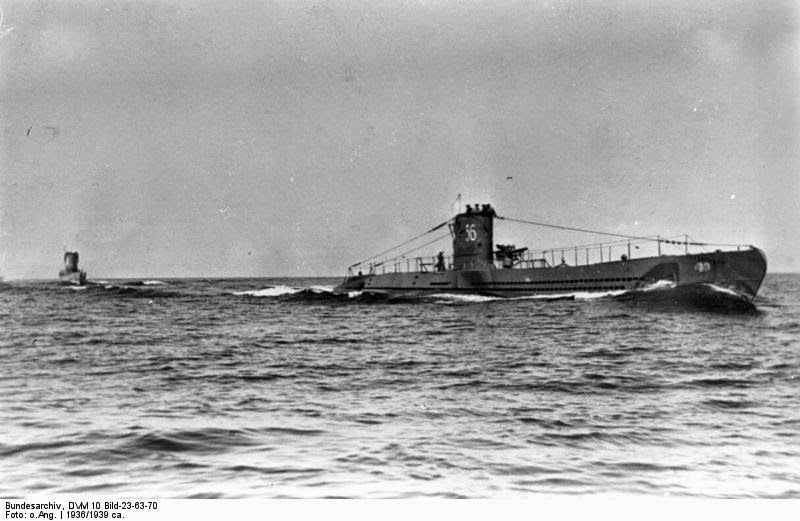 Meanwhile, the U-boat had become stuck on a sandbar, and droned its diesel engines until dawn in an attempt to drive itself off the sand, and did so before the Coast Guard could muster up any resistance along the unpopulated shore. The saboteurs also carried with them huge amounts of American currency, nearly $100,000 worth, to aid them in their mission. 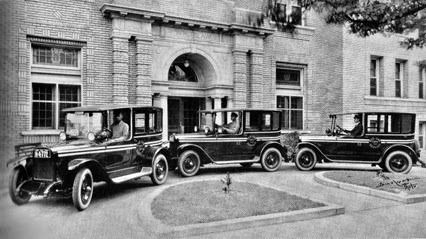 Dasch’s group headed to New York City, where they split up into two groups, and proceeded to buy clothes, stay in upscale hotels, and visited many bordellos and bars. Kerling’s group went undetected at their landing, and proceeded to Chicago and then to New York, where they were to meet with Dasch to begin their assaults on America industry and transportation. Several members also visited their families and former mistresses, much to their surprise. News of the botched Long Island landing was kept secret from the public, and Dasch was worried that the authorities would eventually track them down. So, he hatched a plan to betray his fellow conspirators and called the FBI from New York to request a meeting, thinking he would be hailed a hero for exposing the mission. 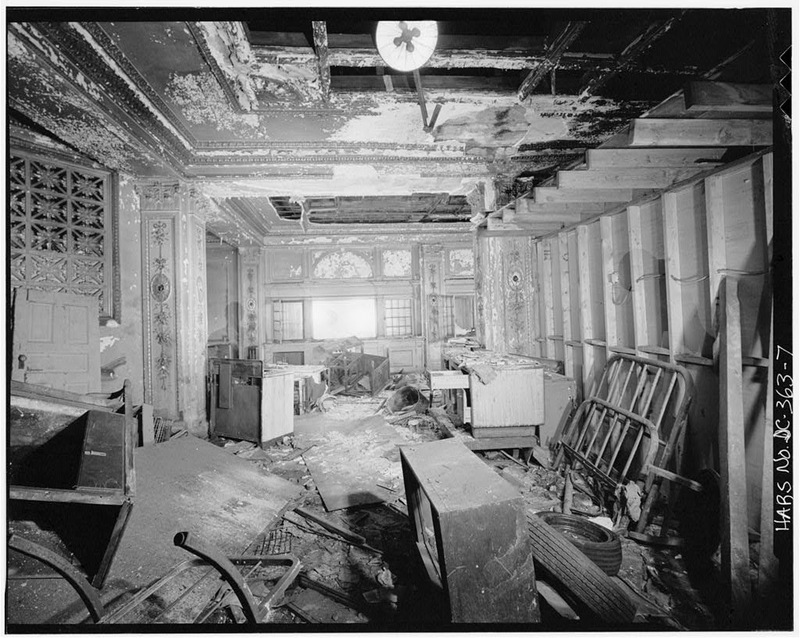 They treated his call as a hoax, which brought Dasch to the Mayflower Hotel on June 18, 1942 with the intention of meeting in person with Hoover himself. The FBI agent that met with Dasch first responded with trepidation, but as details were revealed, and accounts from the Coast Guard confirmed his actions, Dasch was followed in Washington constantly as he dined, visited bars, and enjoyed his last days of freedom. 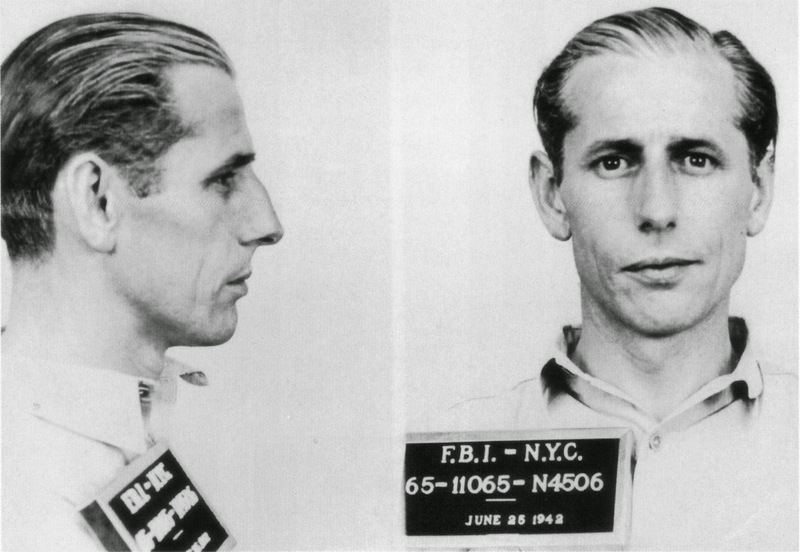 He eventually led the FBI to the other seven saboteurs by revealing their predetermined meeting places in New York. Dasch had been tricked into thinking that his guilty plea would save him from a trial and eventual execution. Hoover called a press conference in hast, and took credit for discovering the secret mission, to much fanfare. President Roosevelt called for a Military Tribunal to be held at the Justice Department building. Kenneth C. Royall of the War Department was chosen to serve as their defense attorney, and the tribunal began on July 6, 1942. Royall briefly succeeded in interrupting the Tribunal in an attempt to have it moved to the Supreme Court, which was denied by the Court after a brief hearing in which Hoover attended. The prisoners were held in the empty women’s section of the D.C. Jail, then located in SW DC. The tribunal meant that only limited and controlled press releases were available to the public on the details of the trial. All eight saboteurs, including Dasch, were found guilty on August 2, 1942; the following day Roosevelt accepted the outcome, and sentenced six of them to death by electric chair. Dasch and a conspirator named Ernst Burger were sentenced to long prison terms. However, both the result and execution were kept secret from the public. He assigned General Albert Cox to oversee the most dramatic mass execution in American history since the hanging of the Lincoln conspirators. 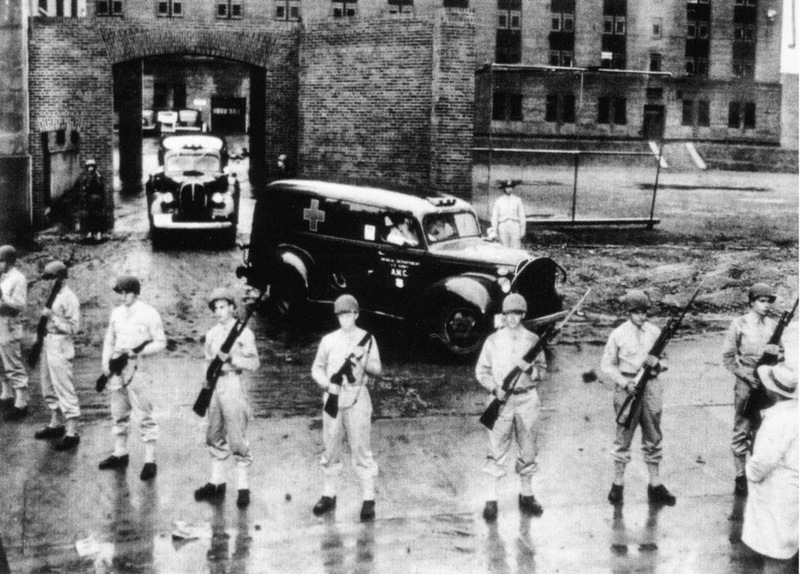 On August 8, 1942, six of the convicted saboteurs were electrocuted to death at the D.C. Prison’s chair, nicknamed “old sparky,” in just over an hour’s time. The chair was kept in a niche above the prison dining room as a constant reminder to the prisoners. Reporters, still not told of the outcome or the planned execution, held vigil outside the prison and watched for a browning of lights, indicating that electricity was being directed to the chair. It was only later that day, at 1:27 p.m., as the White House Press secretary Steve Early read from a typewritten sheet the outcome of the Tribunal, as well as the executions already carried out, that the public learned of the prisoner’s deaths. Their bodies were buried in secret on the evening of August 11th on the southernmost tip of the District, in a pauper’s gravesite near Blue Plains waste water treatment center. They were marked with wooden headstones, marked with numbers 276 to 281. Dasch and Burger were eventually sent to a federal penitentiary in Atlanta. In January 1945, prisoners threatened to throw Dasch off the roof during an uprising, unless their demands were met. President Truman pardoned Dasch and Burger in April of 1948, and both were deported to a then devastated Germany. Dasch escaped into the Russian zone in October of that year, and Burger wrote a letter to Hoover requesting a return to U.S. prison, where food and housing were plentiful. Dasch published his account of Operation Pastorius in a 1959 book called Eight Spies Against America; he died in Germany in 1992. Burger had died earlier, in 1962. 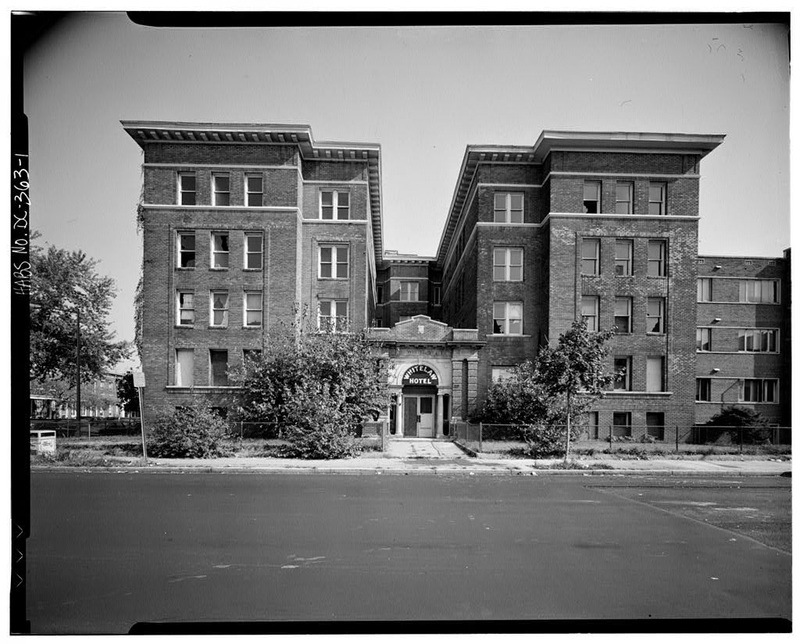 The condominium building on the southeast corner of 13th and T Streets has a storied past, and a respectable place in the history of black Washington. 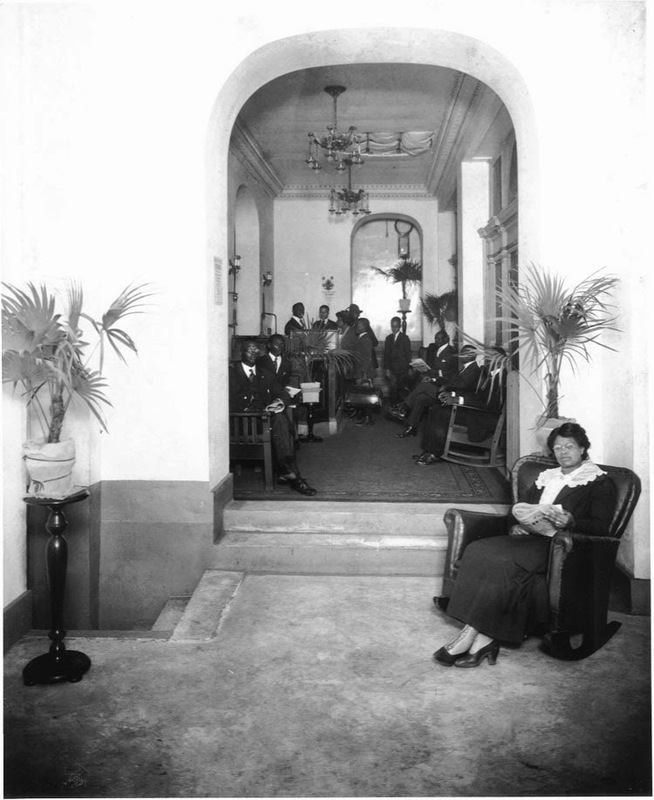 It opened in July of 1919, offering African American travelers a stay in a first class hotel often for the first time, in the segregated nation’s capital. 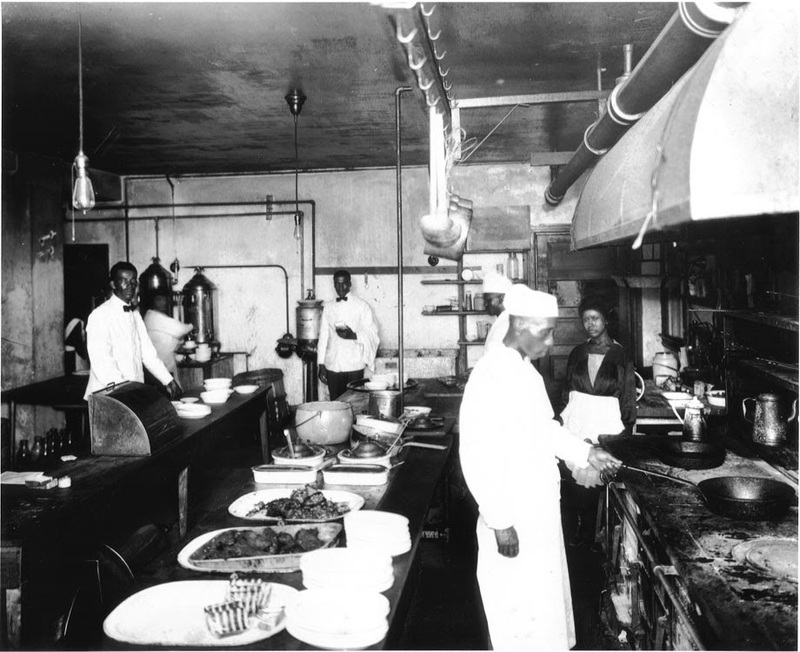 The Washington Bee newspaper described it as the “first hotel apartment of its size built for the exclusive use of colored people in this country.” It was constructed beginning in July of 1918 at a cost of $158,000. The Whitelaw Hotel (and the Whitelaw market across the street) both take their name from the financier and owner of the Hotel, black business entrepreneur John Whitelaw Lewis. He had formed and built the Industrial Savings Bank building at 11th and U Street that remains to this day. Both the Whitelaw Hotel and the bank were designed by a black architect, Isaiah T. Hatton. 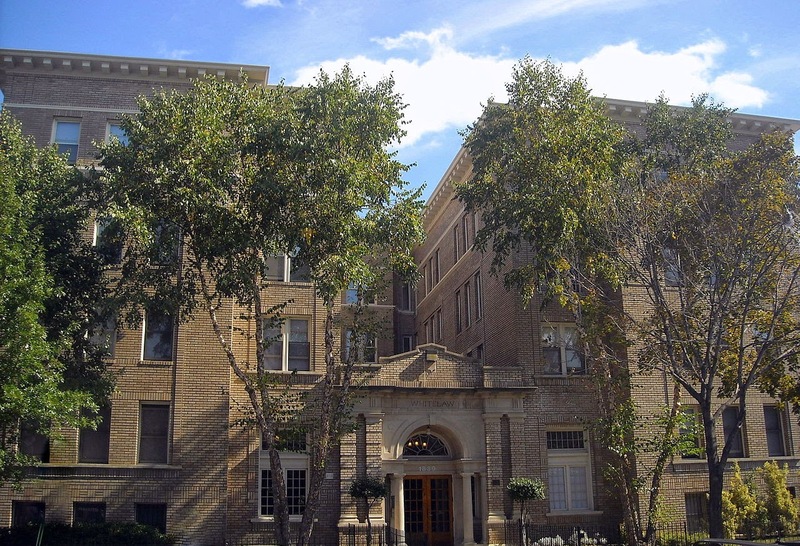 Whitelaw created the Whitelaw Apartment House Company with private stock to finance its construction. The Whitelaw was constructed by J. C. Reeder, a black builder who had a team of carpenters in which “every workman is colored,” according to the Washington Bee. The building operated as a hotel with entrance on 13th Street, and an apartment building, with an entrance along T Street. The Washington Bee newspaper of October 5, 1919 described John Whitelaw as “the first colored financier that has ever been a success in Washington,” and revealed that Whitelaw had formed the stock company for blacks to invest instead of the usual white financiers “so when this prosperity…passes, they can see buildings towering skyward and say to the world ‘this is what we have gotten out of prosperity.’ ” Whitelaw had first come to Washington in 1894 with Coxy’s Army of the unemployed. The Whitelaw featured an ornate lobby, and a restaurant/ballroom that was a favorite choice for elite dinner parties and dances. 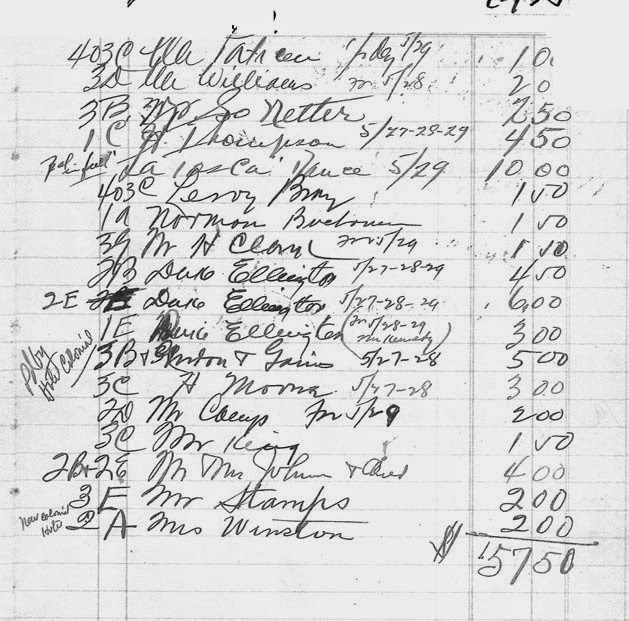 Its clientele included many of the famous of the day that performed at the Howard Theater and other venues on U Street - Cab Calloway, Joe Lewis, and the neighborhood’s own native son, Edward Kennedy (Duke) Ellington. The ballroom ceiling was composed of an intricate domed skylight made of stained glass in yellow and green hues. 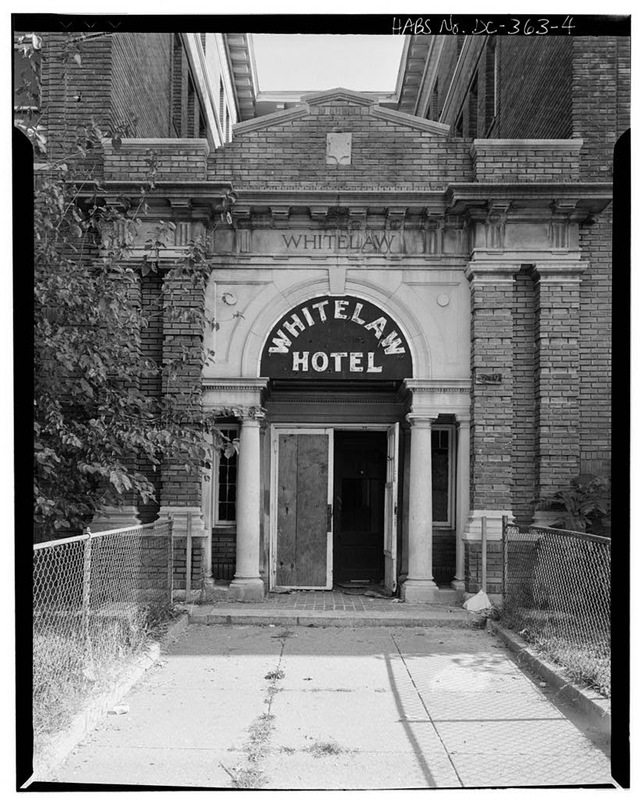 The Whitelaw was purchased by Tally Holmes and others in 1934, who owned the building for the next several decades until it finally became abandoned in the 1970s and 1980s, home to a wide variety of prostitutes and drug dealers. 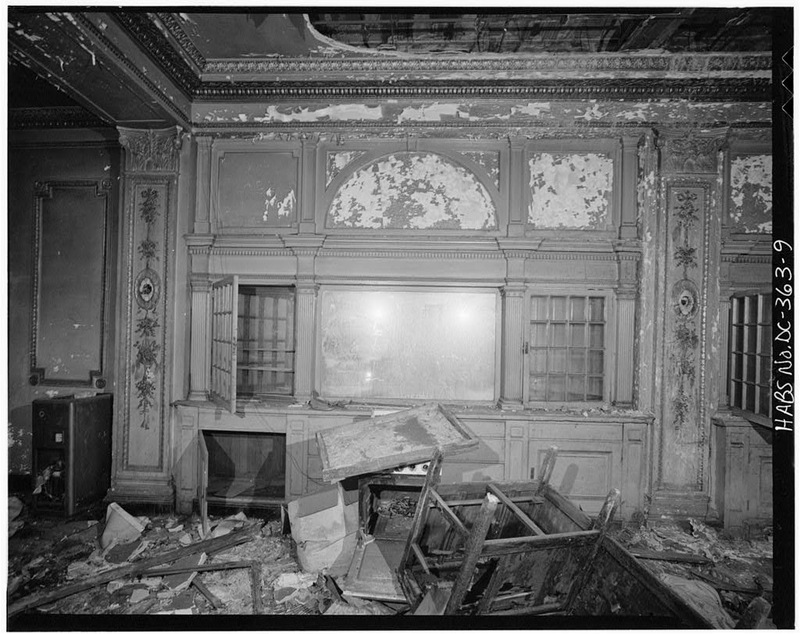 The building was documented as part of the Historic American Buildings Survey by the Library of Congress in 1979, often a signal of its ultimate demise. 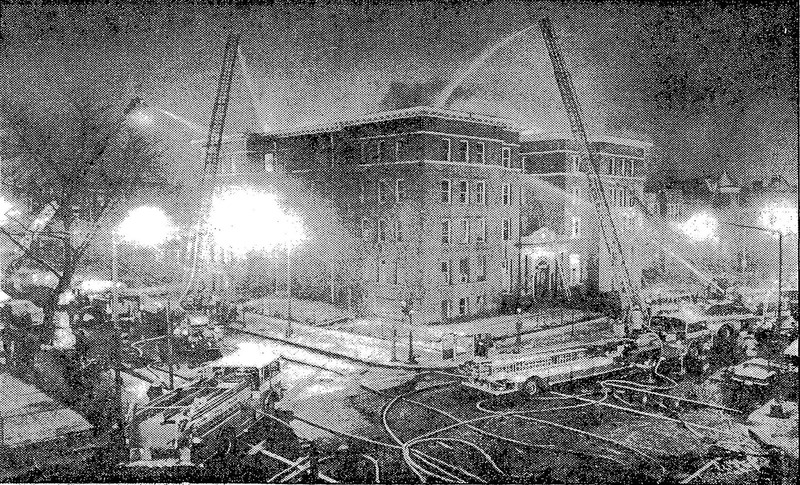 It suffered a devastating fire two years later, on December 15, 1981, in which two firefighters were injured. Nearly ten years later, local black architect Rhonnie McGhee designed a renovation of the Hotel into affordable apartments created by Manna, Inc. The stained glass doom in the ballroom was located in a neighbor’s garage, restored, and reinstalled into the building. The early apartment renters eventually were able to purchase their units as a conversion into a condominium was implemented as envisioned by Manna.